Overzealous predator eradication programs initiated by the federal government in the early 1900s were effective in killing all Mexican gray wolves (Canis lupus baileyi; aka Lobos) in the wild throughout their entire historic range in the southwestern United States by the mid 1900s and in Mexico around 1980. 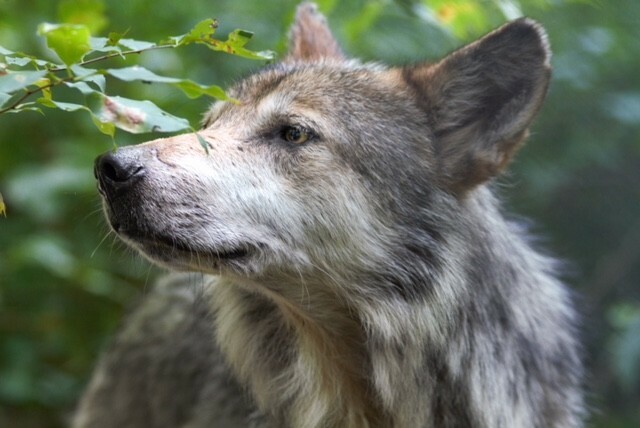 The Endangered Species Act was passed in the nick of time to save the lobos, the southernmost and most genetically distinct subspecies of gray wolf (Canis lupus) in North America, from certain extinction. 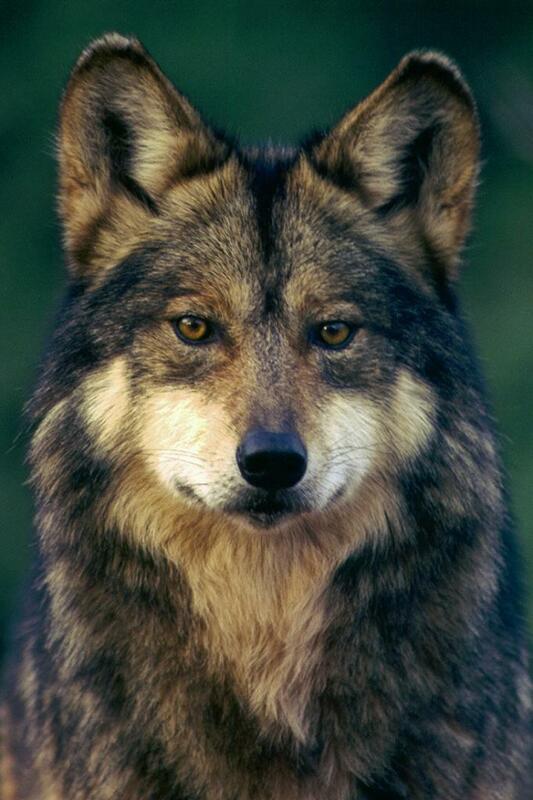 Mexican wolves once roamed the US Southwest and northern Mexico by the thousands. An exact population estimate is impossible. Wherever there was prey, there were Mexican wolves. Wherever there was adequate moisture and available forage and water sources, there was prey. The best habitat was generally the mid to high elevations in the mountainous regions and the riparian zones along rivers and streams. Mexican wolves are the smallest subspecies of gray wolves in North America, rarely exceeding 80 pounds for large males. Females are 15 to 20 pounds lighter. Some scientists believe that the epicenter of evolution for the Mexican wolf subspecies was in the Sierra Madres of northern Mexico and Sky Island region of the southwestern United States in southern Arizona and New Mexico. The principal prey in this region was the diminutive Coues whitetail deer—rarely exceeding 100 pounds—and other prey species were likely javelina (collared peccary), beavers, jackrabbits, cottontails, and other small mammals. A prevailing hypothesis is that Mexican wolves evolved to have smaller body size because of the smaller size of prey available and because of the need to shed more heat in the warm climate of the region. The latter phenomenon is known as Bergmann’s Rule. Nineteenth century German biologist Carl Bergmann observed that within species with broad distributions over a north-south gradient, those in the colder climes had larger bodies that those in the warmer climes. The theory is that a warm-blooded animal’s body surface to volume ratio was important in regulating body temperature by either retaining (smaller surface to volume ratio in large bodied animals) or dissipating (larger surface to volume ratio in small bodied animals) heat. This phenomenon holds true for many wide-ranging species. As gray wolves radiated across North America from their entry point at the eastern end of the Beringia to their southern-most distribution near the latitude of Mexico City, they evolved and adapted to the variety of climatic and ecological conditions they encountered. Historically, gray wolves were contiguously distributed from the Arctic to Mesoamerica. Variations among subspecies were subtle rather than abrupt, with fuzzy boundaries between the subspecies taxonomists described. But wolves living substantial distances apart along this distribution exhibited measurable physical, genetic, and ecological differences. Mexican wolves at the northern end of their distribution blended into populations that were somewhat larger and preyed on the abundant Merriam’s elk and even bison in adjacent regions. That Mexican wolves reintroduced into the Gila region prey primarily on the transplanted Rocky Mountain elk –Merriam’s elk having been shot to extinction in the early 20th century — is a testament to their evolutionary plasticity. As European settlers moved west with their large herds of livestock beginning in the late 1800s, two problems occurred simultaneously to permanently alter our Southwestern ecosystems. Unregulated hunting for sport and markets, and apparently just for the hell of it, decimated wildlife populations. And unregulated grazing by cattle and sheep degraded fragile grasslands and riparian ecosystems. Watersheds were laid bare and erosion was unleashed with a vengeance blighting landscapes to a condition that the ecologically unenlightened now perceive as the normal “look” of the West. Early western cattle barons were politically connected, and convinced Congress to pass legislation to establish a federal agency in 1915 with a mission of eradicating large predators from the land. Mexican wolves narrowly escaped extinction with the passage of the Endangered Species Act in 1973 and their placement on the list of endangered species in 1976. A few wild Mexican wolves remained in the remote Sierra Madre in the Mexican states of Chihuahua, Sonora, and Durango. 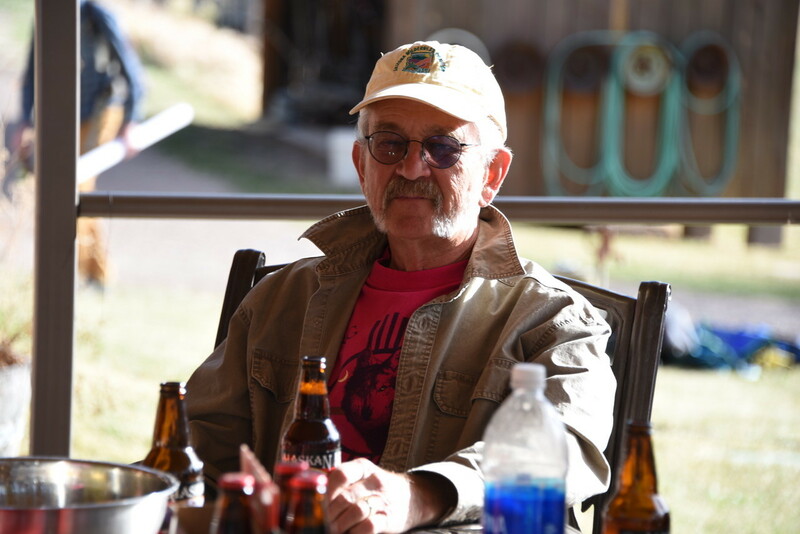 Renowned Texas trapper, Roy McBride, was hired in 1977 to live-trap as many wild Lobos as possible in Mexico. Between 1977 and 1980 he trapped five wild Mexican wolves – four males and one pregnant female. These were placed in captive breeding facilities in the United States and became the “certified” lineage of Mexican wolves for purposes of captive breeding for future reintroduction to their former wild habitats. Concerns over the limited gene pool led to the testing of two additional captive lineages of Mexican wolves, called the Ghost Ranch and Aragon lines. A team of canid geneticists using new molecular genetic and traditional morphological methods determined in 1995 that both of these lines were pure Mexican wolves. This increased the number of certified pure founders for the captive population to seven wolves – three females and four males. All 400+ Mexican wolves alive today in both captivity and the wild can be traced to these seven founders. 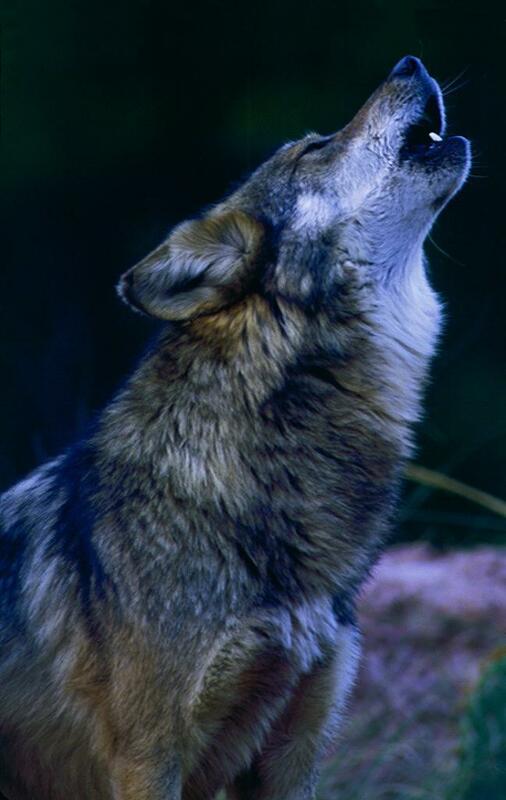 Following many years of captive breeding, lengthy analyses of suitable release sites, development of reintroduction proposals, and public reviews, the first eleven Lobos were released into the Apache National Forest in eastern Arizona in 1998. Over 100 Mexican wolves have been released up to the present day; and the current wild population inhabiting suitable habitats in Arizona and New Mexico is estimated to be a minimum of 114 Lobos. More recent releases in Mexico have resulted in a current wild population there hovering around 40 wolves. 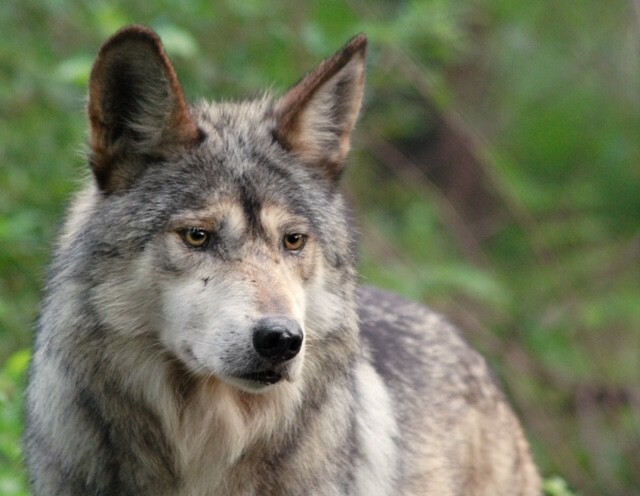 Wild populations of Mexican wolves face serious threats to their long-term survival. Responsible wildlife agencies need to confront these threats for Lobos to regain population levels that would allow them to be removed from the list of endangered species. The two main threats are limited genetic diversity and excessive human-caused mortality. For the past 15 years, state wildlife agencies have pressured the U.S. Fish and Wildlife Service (USFWS) to limit releases of genetically valuable animals from the captive population. The current wild population has a very high inbreeding coefficient which can lead to genetic problems potentially affecting the lobos’ long-term survival. And the combination of illegal killing and management-related removal of wolves has slowed recovery. Few poachers have been prosecuted for illegally killing Mexican wolves. Recent revisions of the federal rules for managing the wild population and of the official Mexican Wolf Recovery Plan reflect political influences driven by state wildlife agencies whose policies are disproportionately influenced by hunters and ranchers. Pressure from the Four Corners states’ governors, their governor-appointed game commissions, and New Mexico and Arizona wildlife managers has resulted in the USFWS requiring a dangerously low number of Mexican wolves for removal from the list of endangered species, limited options for releasing wolves from the more genetically diverse captive population, and set a northern limit for Mexican wolf occupation at Interstate 40 in Arizona and New Mexico. The Endangered Species Act requires recovery decisions to be based on the best available science, not politics. The current federal regulation (2015) and recently revised Mexican Wolf Recovery Plan (2017) limit the US population to no more than 325 wolves. The regulation authorizes the removal of all wolves in excess of this threshold and all wolves that cross to the north side of I-40. There is no credible scientific justification for these restrictions. The USFWS admits that a single population of this size leaves Mexican wolves highly vulnerable to extinction. Their solution in the recovery plan is to encourage the country of Mexico to establish a second population of at least 200 Mexican wolves. Many scientists believe that 525 wolves in two separate and functionally disconnected populations are insufficient to ensure recovery. Another critical concern is that the UFWS has no authority over recovery actions in Mexico. The population caps in the US and Mexico were established by agency wildlife managers as “management targets” based on perceived limits of “social tolerance” for wolves presumably by hunters and ranchers. These politically motivated limits have no defensible scientific basis. Previous recommendations of independent scientists appointed by the USFWS to a formally established Mexican Wolf Recovery Team in late 2010 called for three separate populations, connected by corridors of suitable habitat, in the US Southwest totaling at least 750 wolves with each subpopulation having at least 200 wolves. Locations of two of the three recommended populations were north of I-40, dipping into southern Utah and Colorado. These science-based recovery recommendations and the 150-page draft recovery plan prepared by the independent scientists were rejected by the states and subsequently by the Fish and Wildlife Service. Conservation plaintiffs recently won a lawsuit when a federal district court judge ruled that decisions made in the 2015 Mexican wolf management rule were “arbitrary and capricious” and not based on the best available science. The Judge has ordered the U.S. Fish and Wildlife Service to revise the rule in accordance with requirements of the Endangered Species Act. Conservationists, independent scientists, and their lawyers are working through the legal system to improve the management rule and the chances for long-term survival of Mexican wolves in the wild. Early this year two lawsuits were filed on behalf of conservation plaintiffs challenging the legal and scientific sufficiency of the 2017 revised Mexican Wolf Recovery Plan. That plan was developed in closed sessions between representatives of the four southwestern states, wildlife agencies in Mexico, and the USFWS. It can be fairly stated that every major advance in the recovery of Mexican wolves was forced by lawsuits filed by conservation groups; and every decision made by the U.S. 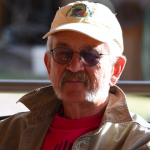 Fish and Wildlife Service has been adversely influenced by the politics of special interests antithetical to the recovery of the Lobos, especially by the southwestern states, their game and fish departments and commissions. The future of lobos in the Southwest depends on relentless pressure applied to responsible state and federal agencies and elected officials by dedicated citizen activists, conservation organizations, independent scientists, and conservation-oriented lawyers. For suggestions on what you can do to help save the iconic Lobo of the Southwest please visit the website: www.mexicanwolves.org. Winning conservation battles is hard, but giving up ensures that wild Nature loses. THE WOLF CONSERVATION CENTER (WCC) is a 501(c)3 nonprofit environmental education organization committed to conserving wolf populations in North America through its three-pronged mission of education, recovery, and advocacy. For nearly 20 years, the WCC has participated in the federal Mexican Wolf Species Survival Plan — a bi-national initiative whose primary purpose is to support the reestablishment of Mexican wolves in the wild through carefully managed breeding, public education, research, and reintroduction. To date, the WCC remains one of the three largest holding facilities for Mexican gray wolves; and three wolves from the Center have been released to their ancestral homes in the wild. For more information, visit www.nywolf.org.